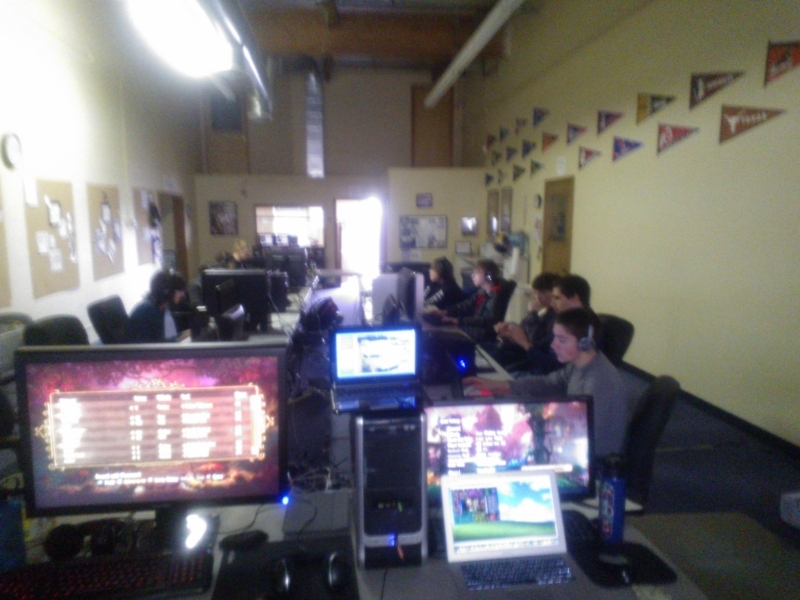 LAN Party: The Day You Get to Play Video Games at School! 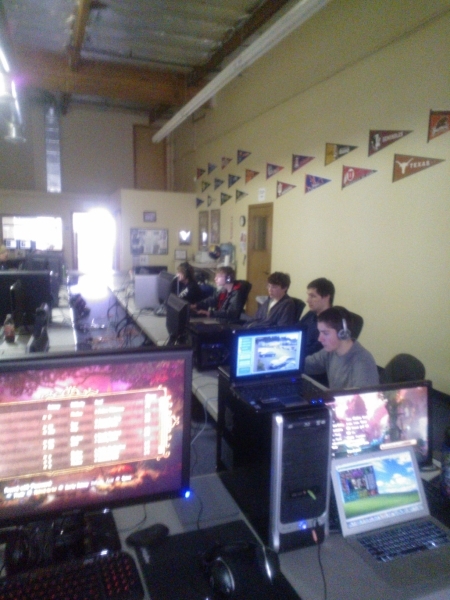 “They came, they saw, they conquered”… let us rephrase that: “ They came, they played, they ate…and ate, and ate…” On Saturday, February 23rd, 30 Chrysalis students conquered worlds and rescued virtual damsels at the LAN party. These multi-talented individuals can hold off armies of zombies with their left hand and text 90 words on their smartphone with only their right thumb! The students each brought their own home computers which filled the whole activity room. 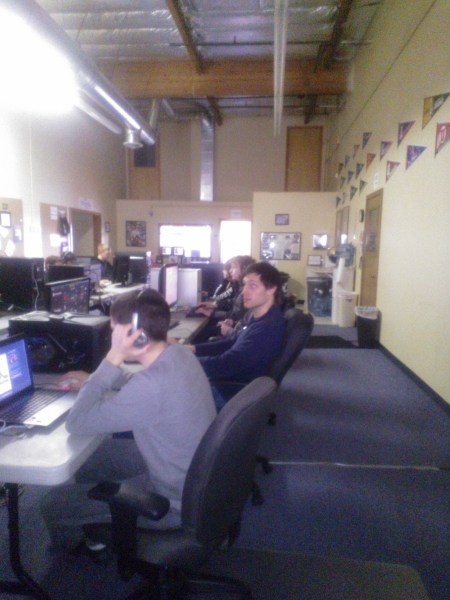 It’s strange–listening to them screaming at each other side-by-side in the room while they had earphones on! Wouldn’t it be wiser to just take the earphones off?? These students (oh yes, and teachers too) kept the playing going from 8am -10pm! Needless to say, this is one of the few Saturdays kids come willingly to school. Where else can students say they played video game at their school WITH their teachers for an ENTIRE DAY?